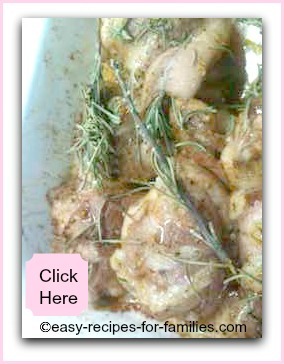 Here is one of my tastiest quick and easy chicken recipes. 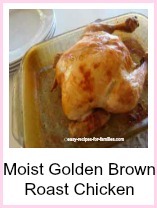 Use chicken thigh meat that has had the skin and fat removed as thigh meat remains moist even when baked. The classic marinade of honey and seeded mustard is always reliably easy to prepare. This healthy meal looks fantastic when served on good crockery, so it's a trusty recipe for dinner parties as it's quick to prepare and only requires you to place this in the oven for 30 minutes. ...and it is absolutely yummy! Serve with short pasta and a simple fresh crunchy salad. 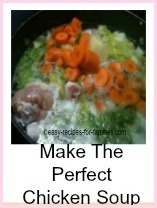 •	Mix well so that all the chicken pieces are covered in the tasty sauce. Marinading is best if left in the fridge for at least 2 hours, although overnight is preferable. •	Bake for 30 minutes till lightly browned. Serve this meal hot, straight from the oven. Contrast this tasty dish with a serving of plain pasta and a simple fresh, crunchy salad. 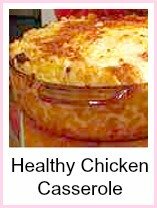 Now, wasn't this one of the quick and easy chicken recipes that's worth remembering? It really is easy and cooking a healthy meal in the oven means you're freed up to do other work. If you don't have zip lock bags, marinade in a flat ceramic dish so that all the pieces of meat are thoroughly soaked. Cover the dish with plastic wrap while in the fridge so that it does not absorb other food smells. We love quick recipes like this as it takes just about no effort to bag the meat with the marinade, then empty out the bag onto an ovenproof dish to bake. 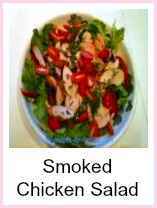 What more, recipes like this are healthy with little or no added fat. 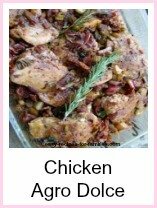 Leave Quick And Easy Chicken Recipes to browse through and be inspired by hundreds of sensationally delicious yet so easy recipes!